Ques. I want to take health Insurance policy for my sister who has paralysis. Which company should I approach? What is the process involved? Ans. In our opinion you must disclose that paralysis is pre-existing. All insurance companies will consider this proposal and most will issue the policy by mentioning that paralysis is pre-existing disease. As a consequence any treatment due to this disease or as a result of this disease will not be payable during next 4 years. You may even be asked to pay extra premium in the form of loading. Generally pre-existing diseases are covered after a period of four years, so in this case paralysis will be covered after the said period. Ans. You can take Oriental’s Happy Family Floater policy in which you would be able to cover your daughter along with you and your wife. You will have to take individual policy for your son as his age is above 25 years and is not to be considered as your dependent. You can take Oriental’s Individual policy for your son. The premium for Rs. 5 lakh of cover would sum up to Rs. 18,670. You will have to bear co-payment of 10% when lodging a claim. If you increase the sum assured to Rs. 6 lakhs, there is no co-payment. The premium for Rs. 6 lakhs cover will sum up to Rs. 23,630. Ques. What are the eligibility criteria for purchasing International Student Health Insurance? Ans. You should be a student of a school/ college/ university in the foreign country and have a valid student visa. Ques. Are dependents of students of overseas student Health Insurance also eligible for coverage? Ans. They are eligible but they do not get student Health Insurance Policy. They get normal Overseas Travel Policy. Ques. May I purchase Student insurance if I am already studying outside my home country? Ans. Yes- you can purchase. But see requirement of your educational institution –what sum assured they are looking for. Ques. What is Domestic Travel Insurance? Ans. 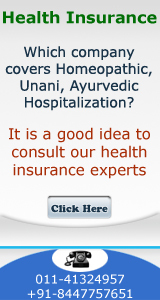 This is travel insurance –when you are traveling within India. Ques. Am I still covered by Domestic Travel Insurance if I catch a connecting flight to a different destination? Ans. Yes-it is for number of days and it covers all modes of public transport – road, rail & air. It also covers accidents/ illness/ hospitalization etc. Ques. What can I do if I encounter an accident while covered under Domestic Travel Insurance? Ans. Get treated and it will be paid by the insurance company. Ques. Ways health insurance companies can mess with you? Ans. They are in business of providing service – why they should mess with you. You as a responsible customer should follow the rules/ procedure for lodging claim. It is a good idea to refer to policy document, read it thoroughly and avoid hassles. Ques. I have health coverage through my employer but i’m leaving my job soon. Though I like my current coverage, I cannot carry it from job to job. What are my options? Ans. Find out what your pocket can afford. Buy your own health insurance policy. Ques. My insurance company failed to authorized coverage and treatment. Is there anything I can do? Take up the matter with the branch office. Lodge grievance with the Head Office of the Insurance Company. 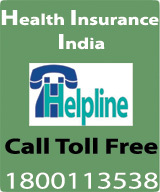 Lodge your grievance on website of Insurance Foundation of India. Ques. How does the health care ombudsman role work? Ans There is no post of health care ombudsman. It is Insurance Ombudsman and it is at state level. Sometimes an Insurance Ombudsman may be covering 2 or more than 2 states also. He also covers all cases of Health Insurance.